BCDs built for duty. Heavy duty. For over 30 years AP have built specialist kit for military & commercial divers all over the world. 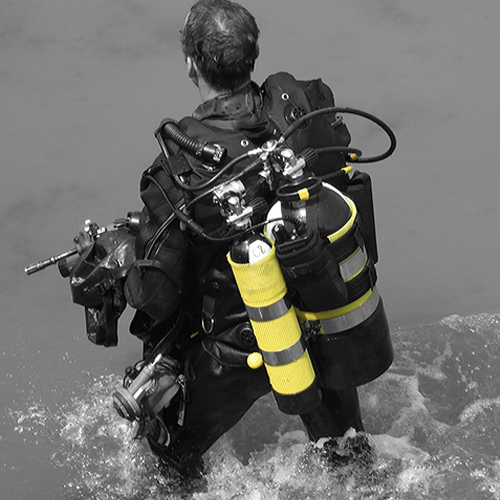 When professional divers go to work every day… they do it with our kit on their backs. For over 30 years AP have built specialist dive equipment for military & commercial professionals from the Royal Navy, police, special forces, bomb disposal, the fire service and coast guards through to the commercial giants of the salvage, shipping and oil industries. It’s a testament to our reputation as manufacturers of original, high-performance, quality BCDs that every day, all over the world… when professional divers go to work, they do it with our kit on our backs. The original Commando was built by request from the British Royal Navy in the mid 1980s. It was tested and developed over two years in close cooperation with RN specialists. The rigueur and exacting demands of that process meant that the end result was so advanced for it’s time – it is still in production today. The Navy wanted a hard-wearing, workhorse of a jacket capable of withstanding rough handling, combat conditions and harsh environments – from the arctic to the tropics. The method of constructing our existing collar style BCDs of that time (such as the BUDDY Double Gold – which we had been supplying to the Navy since 1981) was the ideal starting point for this brief. This twin-bag design featured an airtight PU welded inner bag that was not only protected by the toughest Dupont Cordura exterior available, it also had zippered access to both the bladder and all the fittings allowing simple servicing and parts replacement. Building on this base the AP team went on to develop a waistcoat style BCD fit-for-purpose – complete with emergency buoyancy and breathing options. The end product fulfilled the Navy brief so well that it is still in-service with NATO forces today, along with 4 other task-specific variations on the Commando, which have been produced in subsequent years – the BCA, the AGA BCD, the BASAR and the DABJ. These bespoke jackets are designed to meet the needs of the different specialist groups within armed services worldwide including mine-clearance, ships’ divers, search & rescue helicopter divers and combat divers. The Commando became both the blueprint and the yardstick by which all subsequent BUDDY jackets were measured. As a result, the AP brand flourished and is now supplied globally to military, commercial and sport divers. The BUDDY Commando was first made available to the sport diving market in 1987 where it became an instant hit and a firm favourite among amateur divers in the UK and Europe for decades. It remains our best-selling BCD. In case you were wondering… these military origins are the reason why for many years the Commando was only available in sizes Medium, Large and XL. “There’s no such thing as a small Marine!” we were told. However, by 2007 we were offering the Commando to the diving public in a full size range Small through to XXL. You might not have ambitions to be a Marine, but, with a Commando, you can wear a jacket fit for one. 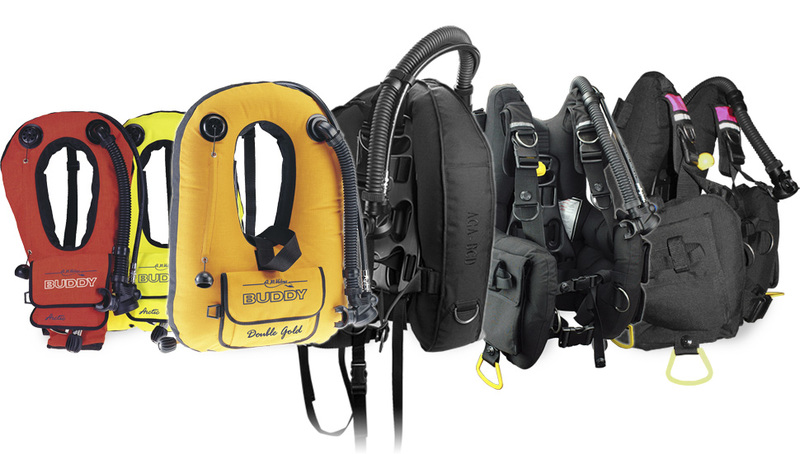 The AP Commando is now offered in a variety of models to suit the full range of diver’s body shapes and sizes – from the AP Commando itself (closest in design to the original) which best fits the taller, wider diver, to the AP Commando-Explorer, which is identical in build-spec but designed to fit a body shape with a shorter-back & narrower shoulders. Finally, the AP Commando-Escape has been developed from bespoke materials as a lightweight travel BCD. The current AP Commandos are built on a proud heritage and retain all the essentials of quality and high performance. The AP Commando will continue to develop and will remain the benchmark in buoyancy control well into the 21st Century. 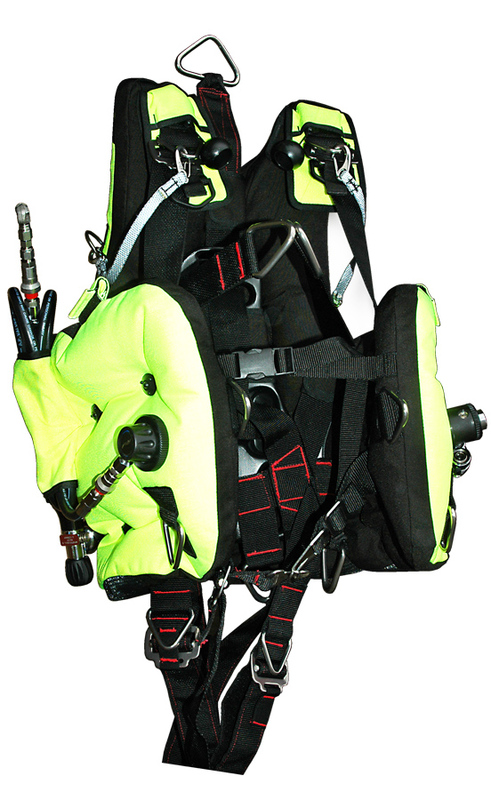 The Mark IV has been conceived and built specifically for surface-supply diving (air and mixed gas) and is the only commercial BCD of its type to incorporate a full-recovery diving harness, helmet-retaining safety harness and bailout backpack. The emphasis is heavily on safety and efficiency, allowing the diver greater flexibility underwater without draining energy levels. 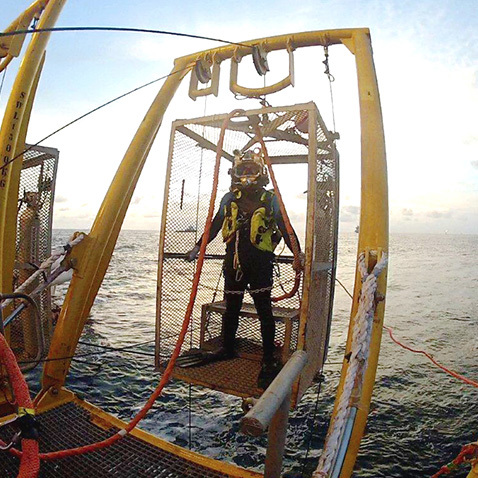 The ability for divers to make themselves neutrally buoyant, slightly positive or slightly negative greatly helps the approach to the work-site from the diving bell. Before the Jump Jacket, a lot of time was lost while surface support repositioned the bell at the next work site. With neutral buoyancy divers can now swim or ‘Jump’ to the next location without requiring the bell to move. The fact that we design and make 95% of our products in-house and have unlimited access to our on-site state-of-the-art R&D facilities – gives us the flexibility to tailor bespoke products to whatever the customer wants. Whether this is a simple pocket or stowage point redesign to cater for specific tools – as with our specialist military or commercial diver BCDs – or designing an entire life-support system from scratch in just 4 months – as we did with Hollywood film director James Cameron ( Titanic, Avatar) for his Deepsea Challenger project (see below). We have a long record of making kit bespoke to our customer’s needs – either in collaboration with them or designing to a detailed brief. AP Diving is unique in our ability to offer our commercial, industrial and military customers this individual attention and service. If you a have a specific requirement, we would like to hear about it. 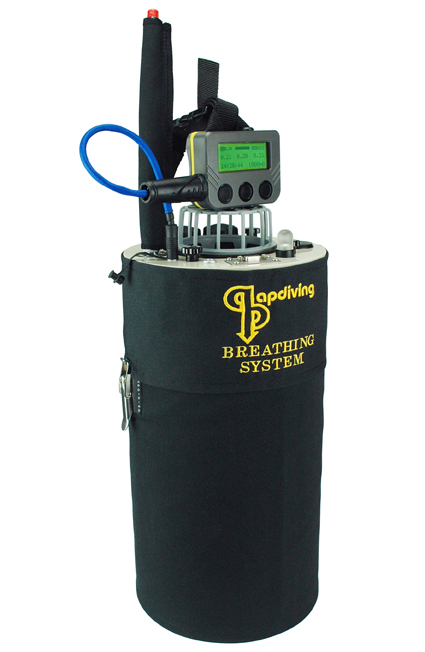 Whether it is diving (buoyancy control, rebreather or other life support) or even non diving related, we may be able to help. Contact BCD Sales on 01326 561040. AP Diving are very proud to have designed and manufactured the Deepsea Challenger life-support system for film-maker James Cameron’s submarine in his successful deepest ever dive to the Marianna Trench in 2012. The AP Diving system, responsible for keeping the pilot alive for up to 60 hours, was developed and the first units delivered within 4 months from the award of contract. This was achieved by utilising many standard AP Diving rebreather components within the new design, including our patented dual controller – automatic oxygen control system – which has time-proven reliability and has been on the market for over 15 years.